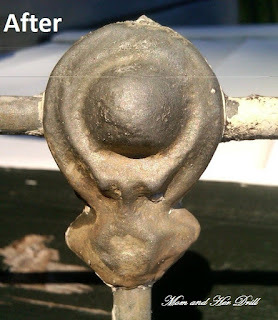 Painting the Iron Bed- what color? I'm envisioning a white room (plank ceiling, painted floors - everything). 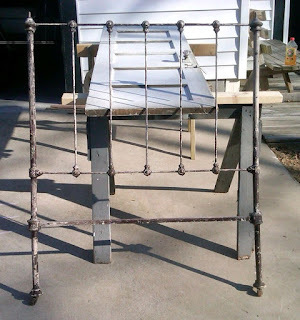 I think I want to paint the iron bed a color. Question is: what color? Should I stick with turquoise or some other "safe" beach color, or go with yellow or bright red? ﻿I can't make up my mind. Love this iron bed! 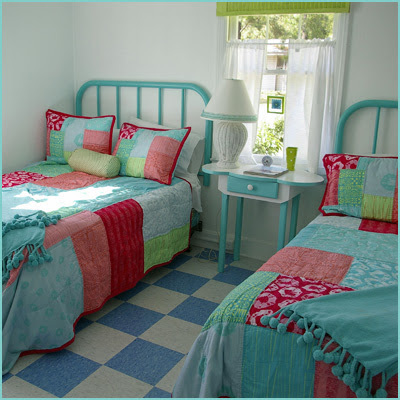 I think any bright color would be gorgeous but I have been lusting after a bright turquoise iron bed for awhile so that is definitely what I would go with. I like the turquoise too. 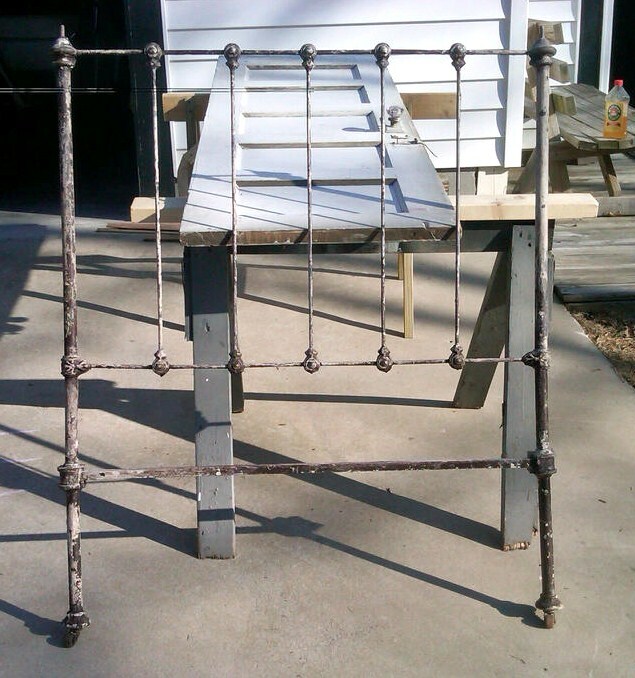 I have an iron crib that I want to paint. It is full of rust. I left it outside since the paint on it was flaking, then forgot about it and want to take care of it now. What type of paint will you be using? I love that turquoise and red room. Very cute! Love the turquoise. Now I want to go ahead and spray my black metal headboard the same. 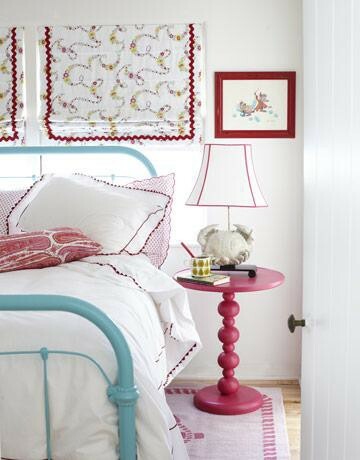 the simple style and delicate frame of that GORGEOUS bed can pull off any bright color. pick what YOU want! Katy I have to say tangerine orange, bright but still a soft orange. So fun to start fresh, can't wait to see the outcome in the room someday! Turquoise! or Tangerine? I love vicariously decorating this little house . Can't wait to see how it turns out. Ooh, ooh *raises hand* What about a deep aqua/marine blue? Same realm as the turquoise,but a lot more oomph! I think you should figure out a bright version of the bottle glass color from your soda bottles you saved. So what ... turquoise-ish? Coca cola colors, red and bottle green/blue. I don't think you could go wrong with any color! but.... something bright might be happy! Can't remember, did the bed come with the shack? I think it depends what other items are definitely going to be in the room and pull out a bright color from them. Depends on amt of space you have...in our tiny beach house every room has articles that have to be in it. No empty space here!! 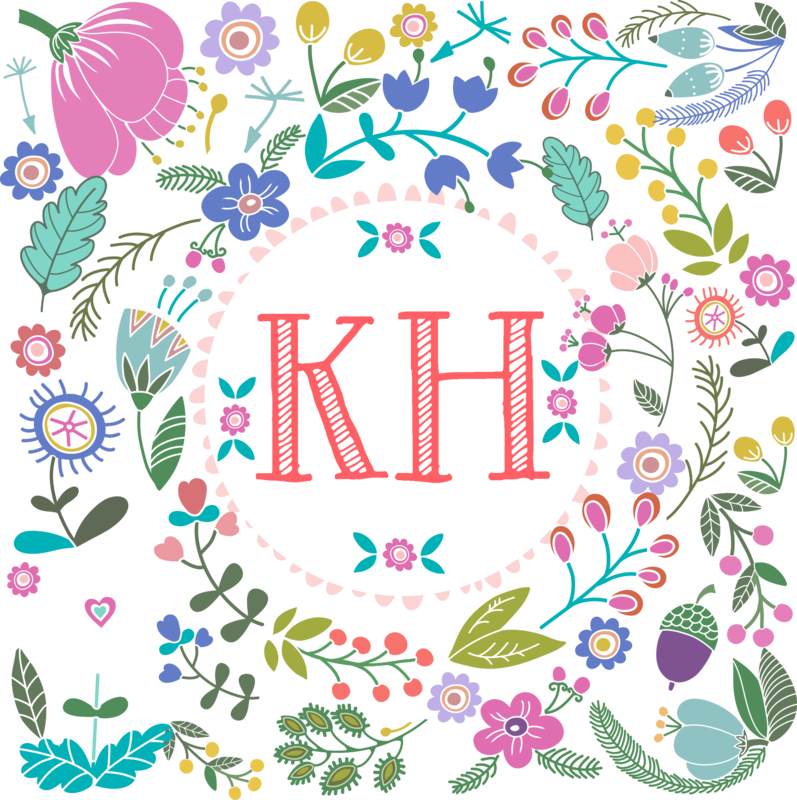 Anyway, turquoise is pretty but I think maybe b/c so common, especially in beach area I'd personally go orange, red, Or Kelly/grass green. 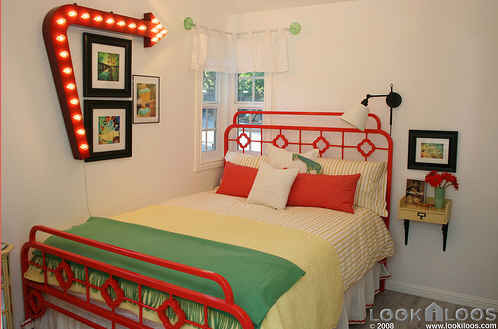 Very cool bed!